Dusty red terracotta roofs sit slanted, shading the narrow, winding streets. The strong aroma of Lombardy’s famous ossobuco alla Milanese fills the air as the sky darkens and the Northern Italian sun seeps into the hillside. The city of Lodi holds many gems, a generational holding midfielder with long flowing hair and a desire to pass teams to death being one of them. No, not Andrea Pirlo; Sandro Tonali. Picture this: You’re a striker. You see Tonali pick up the ball. You run. A missile-guided trivela fired out of Sandro’s golden right boot weaves between the centre-halves, dances teasingly over the helpless head of the full-back before finding your feet. Goal. This is essentially the story for Brescia forward and Serie B top goal scorer Alfredo Donnarumma (19 goals in 18 games) and creative talent Leonardo Morosini. When such a revered talent like Sandro Tonali is perched in the heart of midfield, Brescia are unstoppable. “He used both feet in almost the same way at eight years old, whilst other children were only using one”. Former coach of Tonali, Diego Aversa to Sky Italy. Usually sitting in the middle of a three for Brescia, Tonali operates from deep, more than adept at performing the role of a Regista. When shielded by teammates Dimitri Bisoli and Emanuele Ndoj on either side, Tonali can receive the ball off the defenders/goalkeeper, using his twinkling feet to escape the opposition’s press (seen in Brescia’s 2-1 win against title rivals Palermo in September). His capability of playing inch perfect long balls to the forwards should not come with doubt. Whilst you may be inclined to believe he just sits there spraying long balls like a 2008 Tugay, I am pleased to inform you of his confidence and ability to thrive when struck against low-blocks, a common occurrence if he is to join a big club like Liverpool. Driving towards the box, Tonali can create a chance with the flick of his boot, open up spaces that aren’t even there. He changes games. 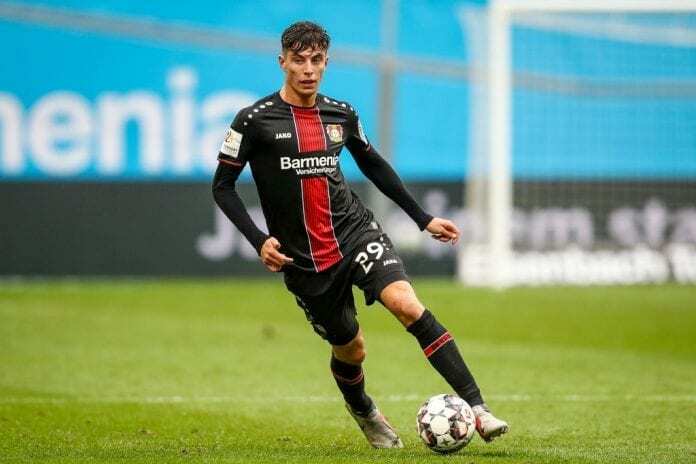 The vision Tonali shows is on par with Kai Havertz of Bayer Leverkusen and possibly even Mesut Özil. STARLET: Kai Havertz (19) has 7 goals and 2 assists in 20 games. 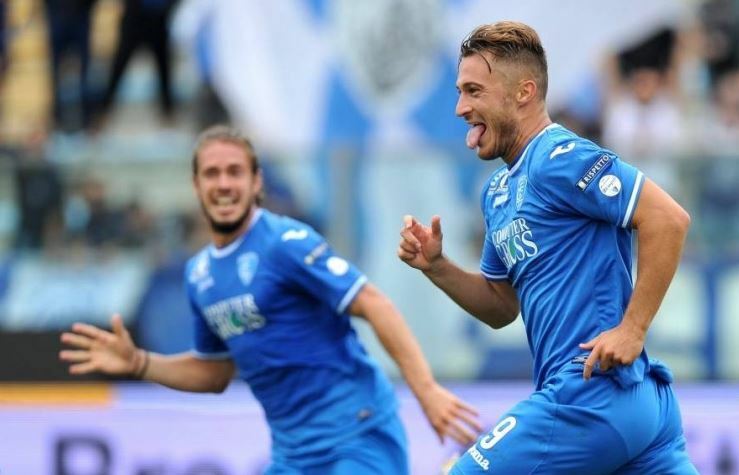 Two goals and four assists so far this season are numbers typical of a player who will often get overlooked but what Tonali offers to Brescia is far more than numbers on a piece of paper. Ever heard of the pass to the assist? Weaknesses? Of course an 18 year old has flaws to his game; he’s not Kylian Mbappé. The Italian lacks power. At 5ft 10in, he isn’t necessarily easy to push off of the ball, however, he gets dominated aerially whenever a game becomes frantic. This leads Tonali to occasionally go missing within games, unable to hold his own against the physical, experienced Serie B midfielders. It is obviously quite possible that this comes with age but are Liverpool really prepared to spend £50m+ on a player that might not even fit their style of play? Andrea Pirlo was brought up in Lombardy, played beneath dusty red terracotta roofs, tasted the authentic ossobuco alla Milanese. He guided his local side Brescia to the Serie B title at the age of eighteen before joining Inter Milan (Tonali prefers AC but roll with it). His career ended in 2017. Guess who made his debut in the very same year. Coincidence? Quite possibly. Exciting? Very. Hotel? Trivago. For more like this, follow us @TasteofFtbl on Twitter!